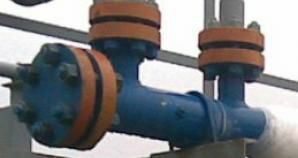 Currently it is very urgent problem of low-pressure gas reservoirs development and utilization of low-pressure process gas formed on gas treatment units. 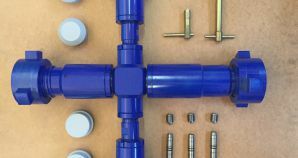 One way to solve this problem is the use of EG-1 gas ejectors, where the pressure of low-pressure gas increases as a result of high-pressure and low-pressure gas mixing, it provides the supply of mixed gas to the gathering main. Structural dimensions of the main operative parts of the ejector (the nozzle diameter, the mixing chambers, the distance between them) are calculated separately for each implementation object.